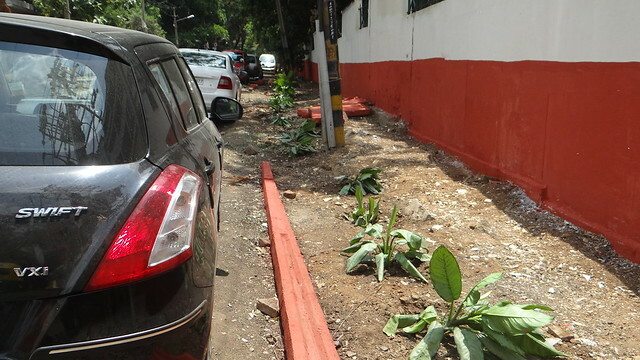 The residents of Casa Ansal, in J P Nagar 3rd Phase on Bannerghatta Road, have been suffering from the shifting of the trash area from the Mini-Forest area to their southern wall, where it was both an eyesore and a major health hazard. 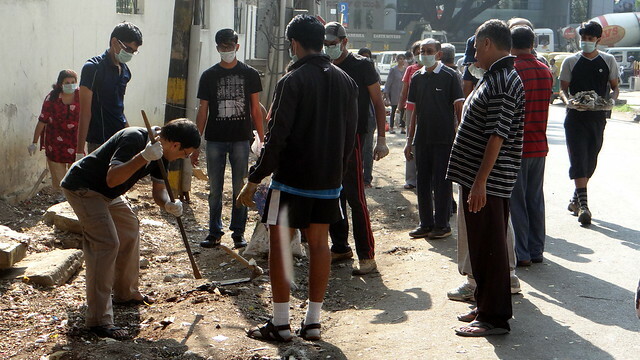 a group dedicated to clean-ups, the residents took up the cleaning of the area. 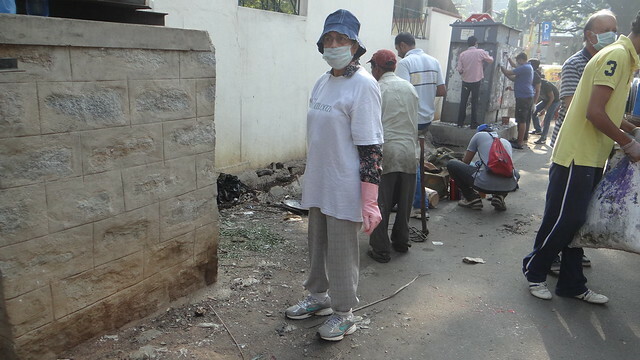 The cleaning program was announced on the Casa Ansal FaceBook group, and several volunteers turned up to help. 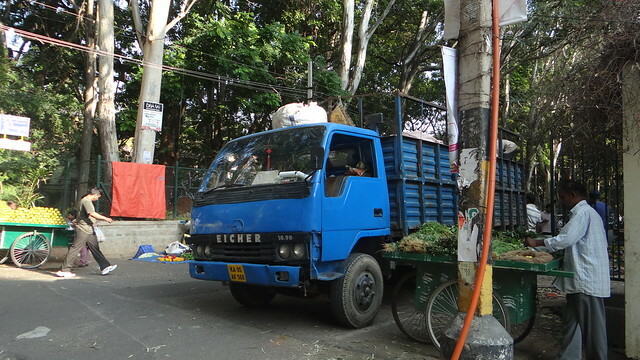 Two garbage lorries were positioned, one at the southern wall, and one at the corner of the southern and western walls. 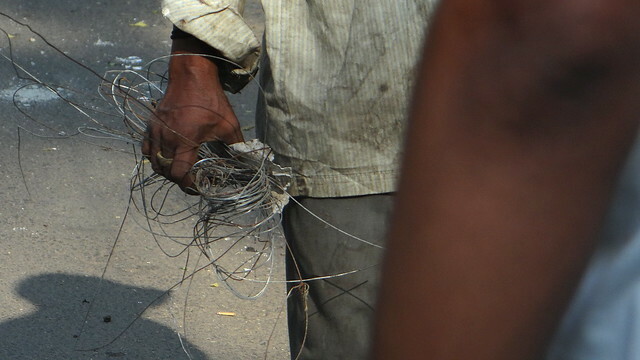 It was surprising to see a lot of waste that could be salvaged, such as this mass of metal wire. 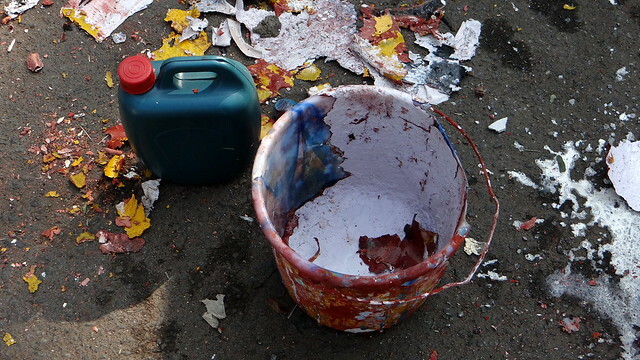 Implements such as shovels, trowels and hoes, and aids such as gloves and masks were used. 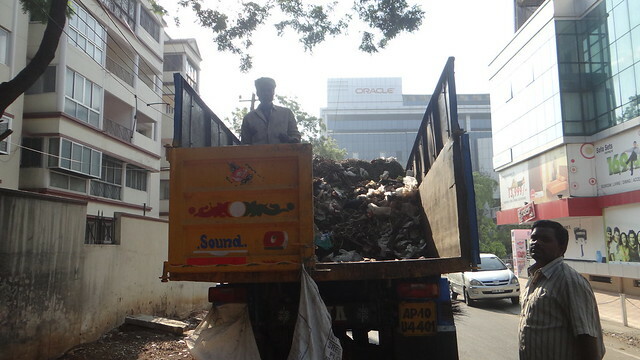 The collected waste will be carted away to a landfill in Hoskote. 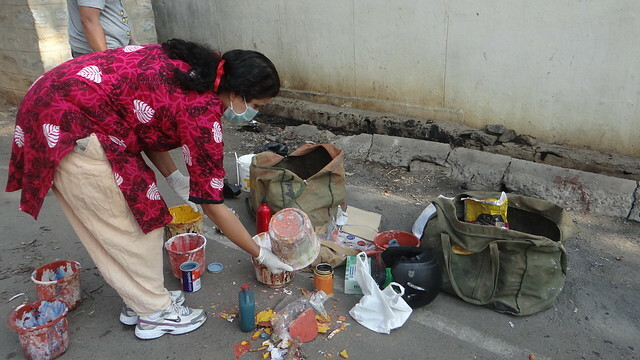 The walls were then painted with freshly mixed whitewash, to discourage others from dumping litter there. It was wonderful to see some children, too, taking part. 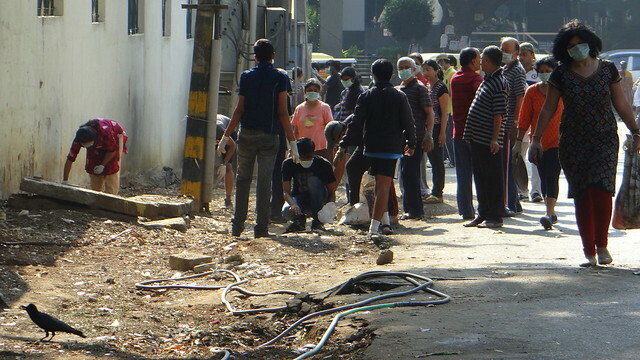 Even as the residents were cleaning up, they had a few people coming up and trying to dump waste in the area, and also urinating right in front of them! 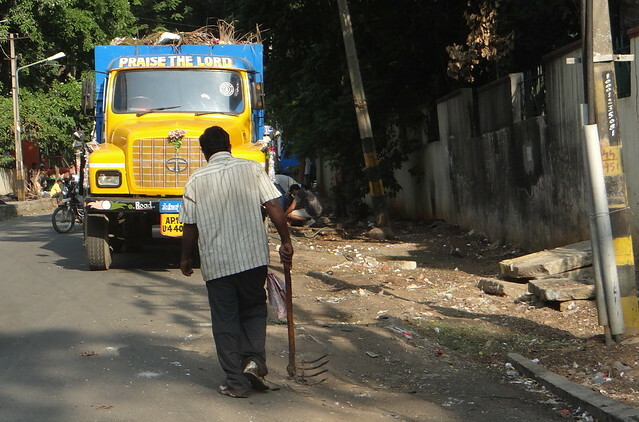 They went with the servants to the owners’ houses and explained that trash could not be dumped in such a haphazard way, and must be given to the trash trucks when they come every morning. 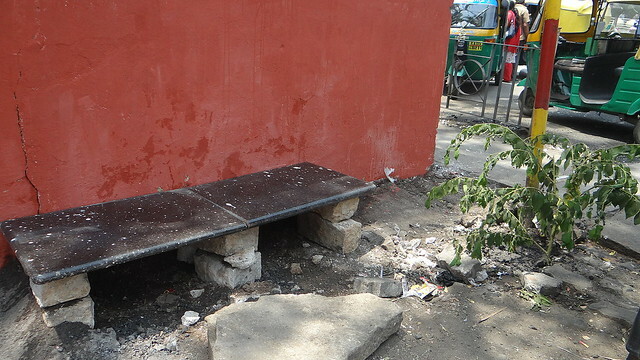 A bench was erected to encourage people to sit in the corner rather than throw garbage there. 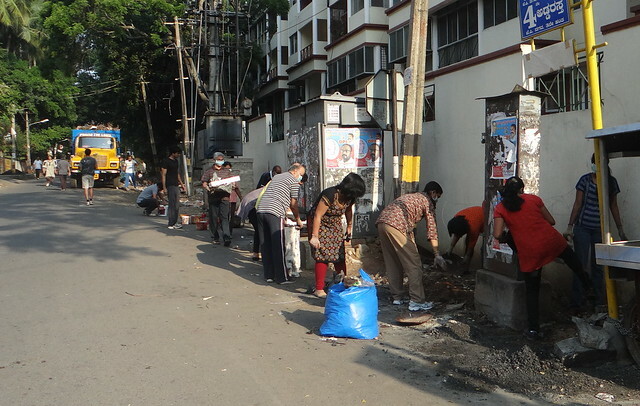 At the end of the morning’s walk, some greenery had been planted. 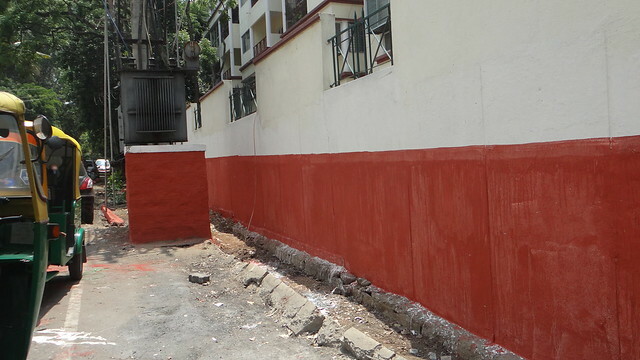 Residents hope that this is the beginning of a cleaner boundary wall to the northern side of the building. 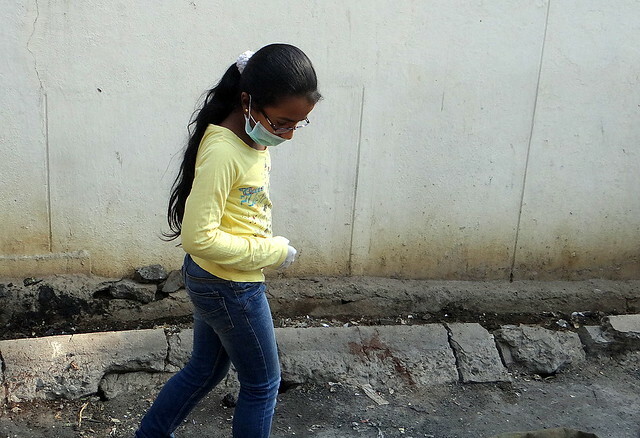 It made them think, too, of the difficulty of the task that the garbage collectors have each day, to shift the smelly and ooze-filled garbage out of the area. 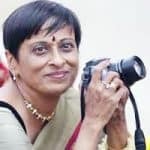 Casa Ansal thanks the “Ugly Indian” for its guidance of the initiative. 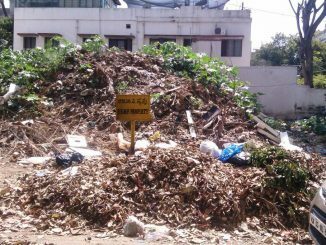 Rs 50,000 to clear garbage from an empty plot?